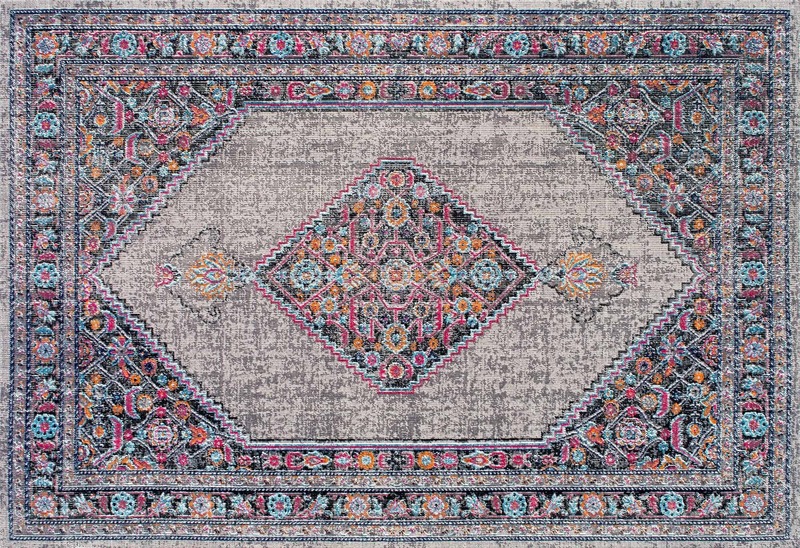 Recently I shared this shot on Instagram of the gorgeous rug that I found for my daughters room. The minute I found it I knew that I wanted it in her room, but the trouble is that I’ve been paralyzed when it comes to making all other decisions! Especially I know that I want to add some fun modern wallpaper, but again, I’ve been too paralyzed to make a decision. Here’s the current state of the her room. Right after moving in we painted the room Benjamin Moore “Chantilly Lace, installed the roman shades from Blindster.com and installed the gold light fixture. 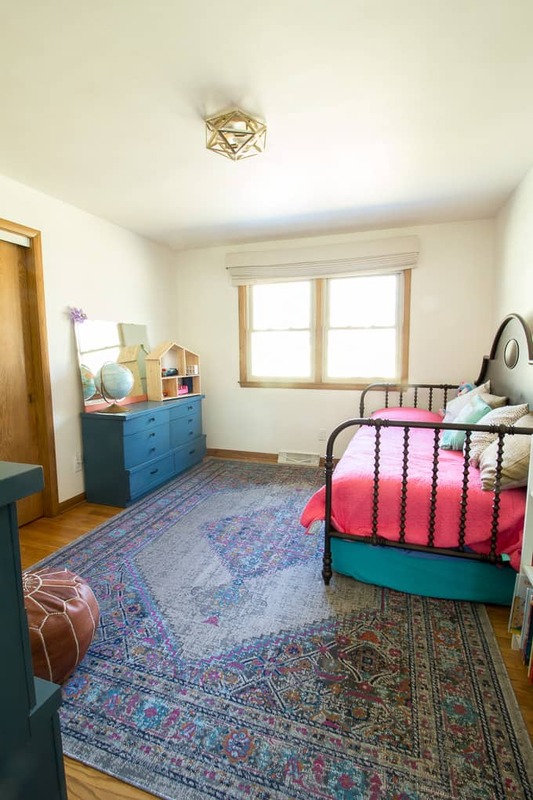 Her bed used to be at my parent’s house and I can’t find a source for it ANYWHERE online. 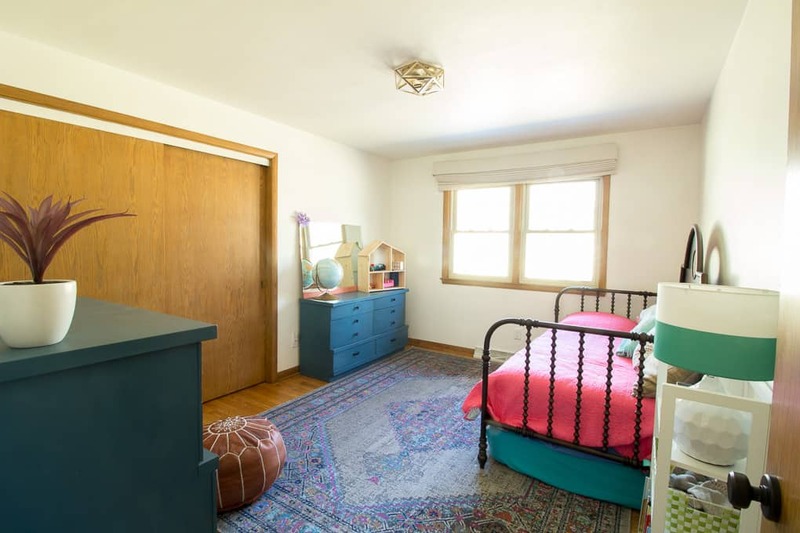 The dressers came out of the boys’ old bedroom, but I love the way the blue looks in here! I’m thinking some wallpaper would be the perfect addition. I’ve found a ton of them that I love, now I need your opinion! 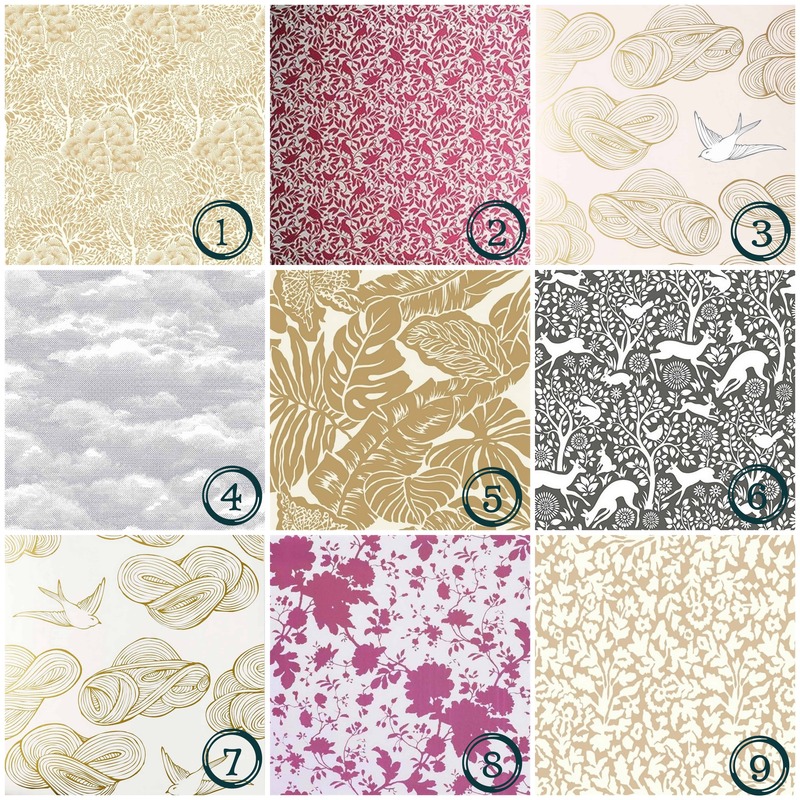 Which fun modern wallpaper do you like the most? I feel like the pink ones would be fun now, but some of the others would be more timeless. 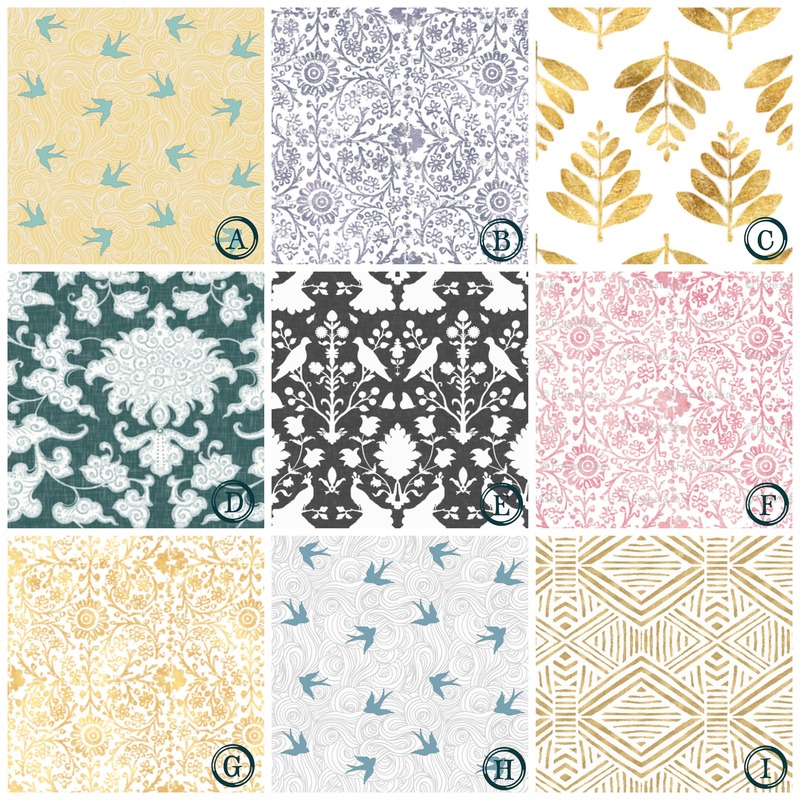 After I found the nine wallpapers above, I discovered the rest on Spoonflower, and I became even more uncertain about which direction I should go. My other dilemma is which wall to put the wallpaper on! I’m not sure about whether it should go behind her bed, or on the window wall. Or would it be too weird to have wallpaper on two walls? Or maybe I should wallpaper the closet doors? It’s odd for me to be paralyzed like this! Thanks for weighing in! Yes the bed is opposite the closet doors. I like that you brought up the balance of the room. It would give something to each wall. Thanks for taking time to comment!